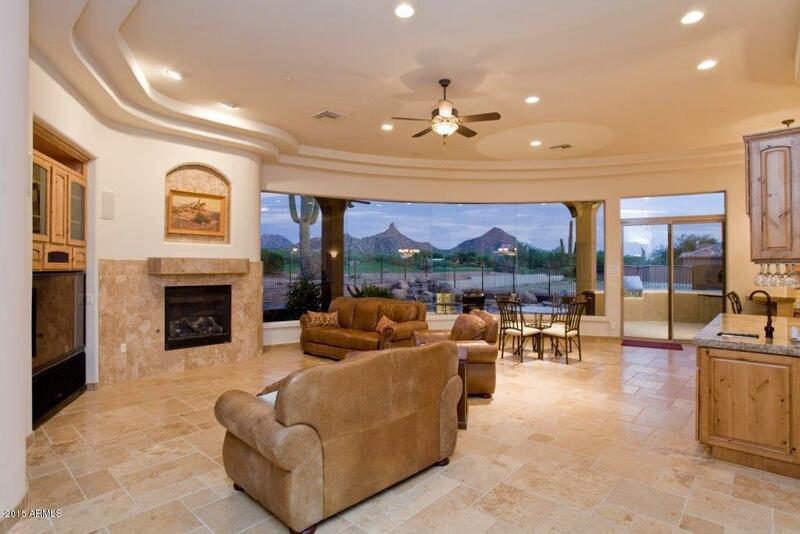 Fabulous custom luxury home located directly on the world-famous Troon North Golf Course. The very first step inside reveals a wall of glass in the great room--24 feet wide--grandly framing the golf course, famed Pinnacle Peak Mountain, the pool, spa, waterfall, wood-burning firepit and built-in gas BBQ.First class appointments throughout this masterpiece include travertine marble flooring, chiseled granite counter-tops, knotty alder doors and cabinetry, fully-equipped gourmet kitchen, dining room with travertine marble table, wet bar with refrigerator, fireplace, 5 large bedrooms, 4.5 baths, full laundry, and 3-car garage. 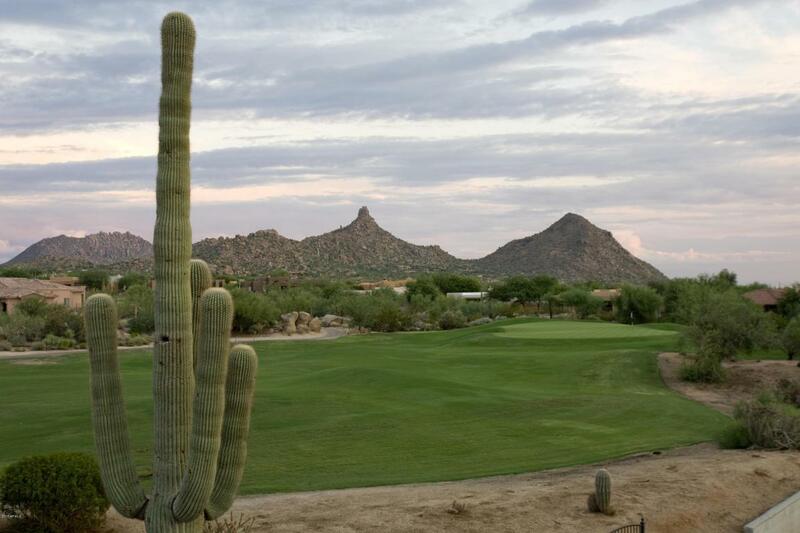 Located in the hot-bed of golf, shopping and exclusive dining in prestigious North Scottsdale, nearby amenities are too numerous to mention.Fully furnished. Listing courtesy of Ripson Realty.